After every water damage situation is a Fresh Start waiting to happen. Our water damage Freeburg technicians with 911 Restoration of Metro East are available 24/7/365 to help property owners with their water damage and mold concerns. You can rely on our IICRC certified water damage and mold removal Freeburg experts for same day service with an arrival time of 45 minutes or less. With a free visual inspection, your dedicated water damage Freeburg technician provides each property owner with a repair estimate and comprehensive repair strategy. Equipped and geared, we used state of the art water extraction machines and advanced technology such as infrared cameras to find water and mold in hidden areas such as ceilings, floors or wall cavities. It is important to mitigate excess water as soon as it is discovered. For solutions to your repair concerns, call our water damage Freeburg and mold removal Freeburg experts with 911 Restoration of Metro East. Stagnant water left longer than 24 hours doesn’t just affect the appearance of your home, it can have repercussions on your family and pets health. The mold removal Freeburg experts want homeowners to know that when mold spores start to spread through the air, it could cause allergic reactions such as itchy eyes, ears, nose, wheezing, headaches and other respiratory issues. Since water and mold are directly related, our water damage Freeburg and mold removal Freeburg experts work hand in hand to ensure your home is free of mold and hidden moisture. From cracks to leakage, to checking your gutters and drains, to ensuring your appliances are still in good standing, our water damage Freeburg and mold removal Freeburg experts go the extra mile to ensure you and your family are safe. Call our licensed, bonded and insured water damage and mold removal Freeburg experts for immediate assistance and solutions to your water damage and mold concerns. We know how overwhelming it can be dealing with insurance companies, relocating your home and maintaining normalcy during a water damage situation in your home. We address each concern and make sure our customers have peace of mind. Our experienced project managers will even help you file your insurance claim. When we file it for you, you don’t need to worry about negotiating with adjusters or chasing your insurance agent. We do that for you so this is as seamless of a process as possible. 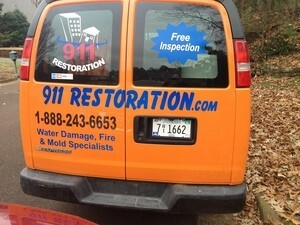 Call our water damage Freeburg and mold removal Freeburg experts with 911 Restoration of Metro East for solutions to your restoration repairs!